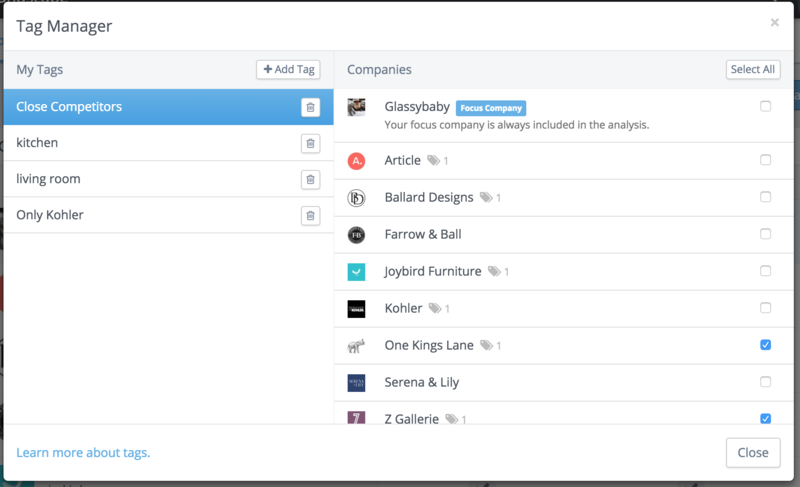 Manage company tags to focus your view to a subset of companies. Manage the channels that are visible in your cross-channel reporting. Company tags help you segment your landscapes into sub-groups (by geography, division, top competitors, size, etc.) 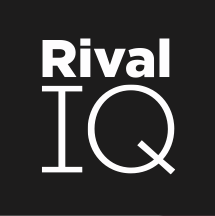 to filter any analysis in Rival IQ. Tags can also be used to do any head-to-head comparison with your Focus Company. From any page, opening the tag dropdown displays the list of active tags on the landscape. Selecting a tag will filter all of the data on the page to include only the companies associated with selected tag. 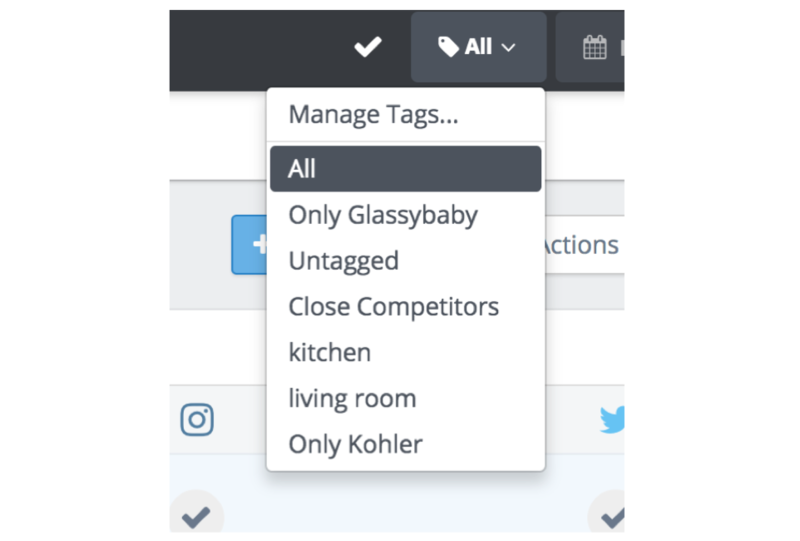 Selecting “Manage Tags…” opens the Tag Manager, where you can add and edit tabs for companies. Click “+ add Tag” to create a tag, then select the companies on the right to include them in the tag. Any changes you make here are automatically saved. You’ll notice that the focus company is always included in any analysis to help you compare the focus company to the average for the companies within a tag. Manage Channels for any landscape to hide channels that aren’t relevant to a landscape. 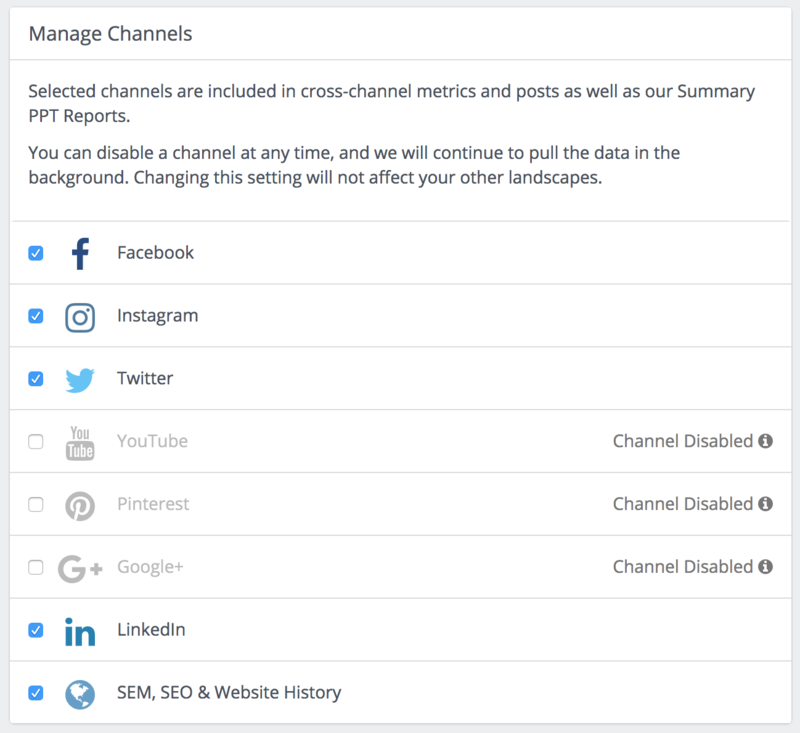 It is also helpful to hide any channels you may not want to include in your cross-channel metrics.